Director Hal Ashby’s cinematic life is chronicled in Hal, a brisk yet eye opening documentary that will hopefully draw more moviegoers to his work. Filmmaker Amy Scott, though obviously an enthusiast of Ashby’s work, steers clear of unabashed reverence with her doc, giving Hal a refreshingly even eyed look at the master storyteller. Ashby first cut his teeth in Hollywood as an editor, and during his early years his close collaboration with director (and close friend) Norman Jewison led to Ashby’s Oscar win for In The Heat of the Night. Scott, who is also an editor by trade, explores all of the filmmaker’s classics in the 70s in a streamlined fashion, using archival footage, letters, and interviews to keep things moving along in an entertaining fashion. Interviews with Ashby’s acting ensemble (including Jon Voight, Rosanna Arquette, and Jeff Bridges), his past lovers, daughter, producers, along with a generation of filmmakers (Judd Apatow, Alexander Payne, Lisa Cholodenko) who have been influences by his work, are essentially the heart and soul of Hal. Though predominantly talking head documentaries, clipped together with archival footage, can be a wearisome view, Scott has a deft hand, and by the end of 90 minutes I actually wanted a bit more content from Ashby’s life and career. That being said, to give a critical insight on Harold and Maude, The Last Detail, Coming Home, Being There, and even The Landlord would make for an entirely different, more cinematically driven documentary, but Scott’s aim is to give us a deeper picture of the man and what fueled his work. Although the last decade of his film work is not given enough screen time, there is a method to the madness; Ashby’s continuing struggles with the studio, coupled with the 1980s devotion to blockbuster filmmaking, eventually led to his creative demise. Ashby died of pancreatic cancer in 1988, and the obvious tragedy is that a third act of filmmaking may have brought about a career renaissance for the director. But part of Ashby’s genius and charm is that he, as well as some of his most indelible characters (I’m thinking of Ruth Gordon’s Maude), try to live their best each and every moment. Scott shows us a man who was driven by a life in cinema, spending hours crafting movies often to the detriment of his own relationships (Ashby’s daughter Leigh MacManus has a poignant take on why Lookin’ to Get Out is her favorite film). The 1970s is considered by many as the true Golden Age of filmmaking, where auteurs seemed to have control of their respective stories. 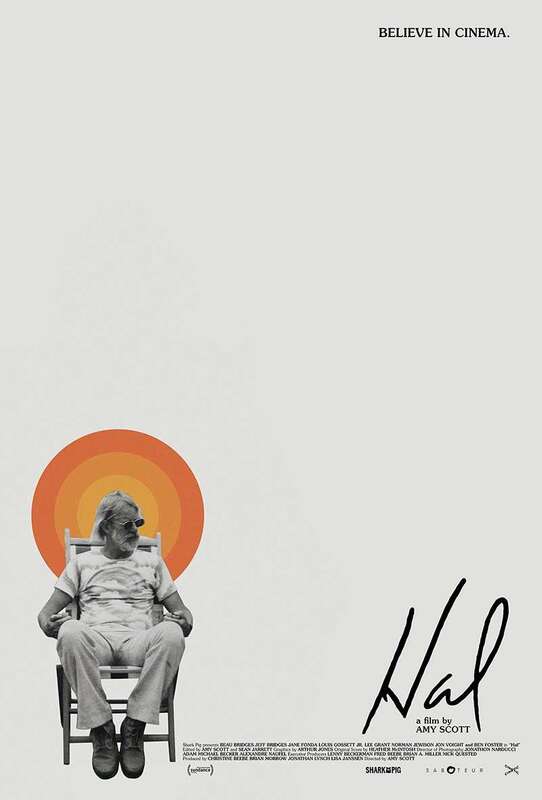 It’s a shame that it took this long for an incisive documentary on Hal Ashby to hit theaters, but thankfully Amy Scott’s insightful Hal is a step in the right direction. Hal opens in New York September 7 and the following week in Los Angeles.